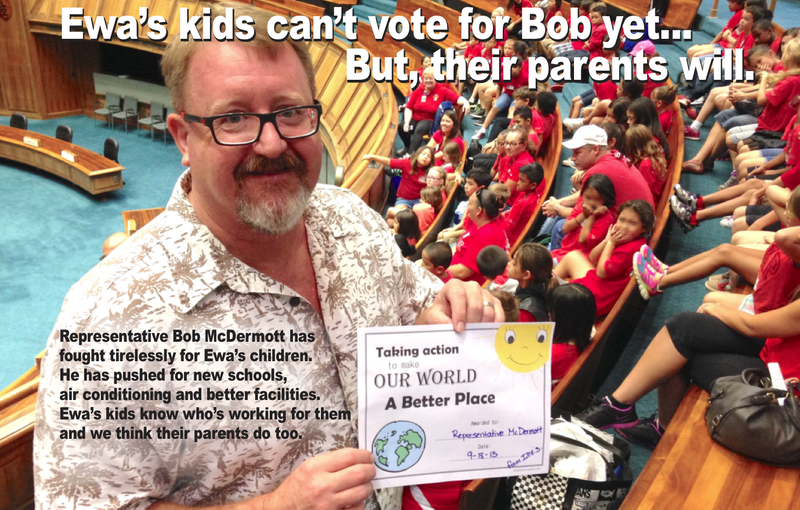 Representative Bob McDermott has fought tirelessly for Ewa’s children. He has pushed for new schools, air conditioning and better facilities. Ewa’s kids know who’s working for them and we think their parents do too. Let’s keep Bob working for us! See complete coverage of Rep. McDermott class action lawsuit on behalf of Campbell High School students to compile the Governor, DOE and BOE to address problems at the school. 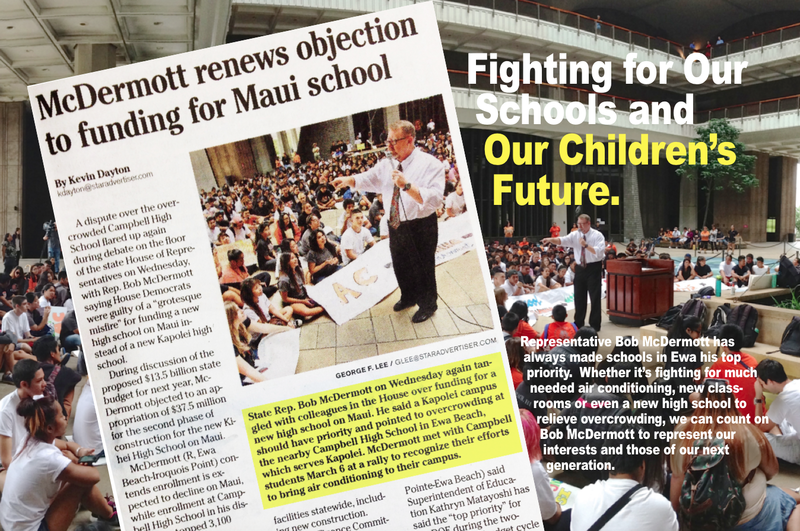 McDermott is asking specifically to expand the inadequate cafeteria facilities, air condition classrooms and start building a new high school in Kapolei to receive overcrowding. 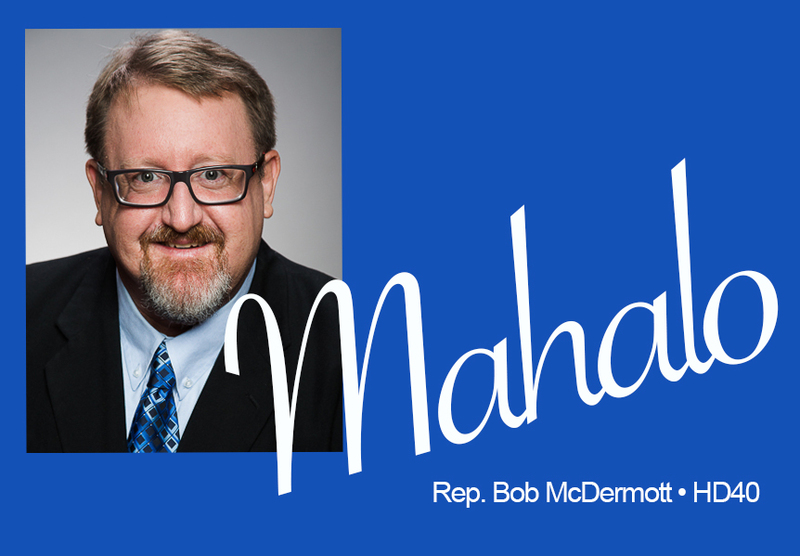 Join us Thursday Evening in Ewa – Everybody Welcome! 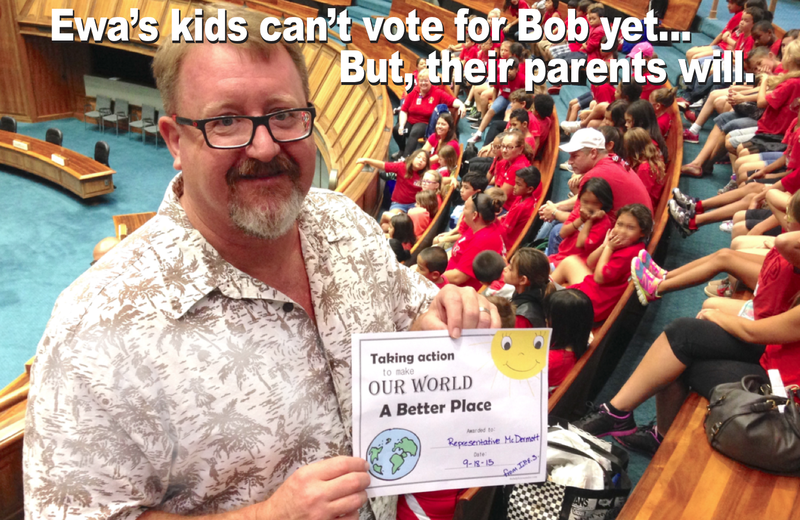 Let’s Keep Bob Working for Ewa’s People! 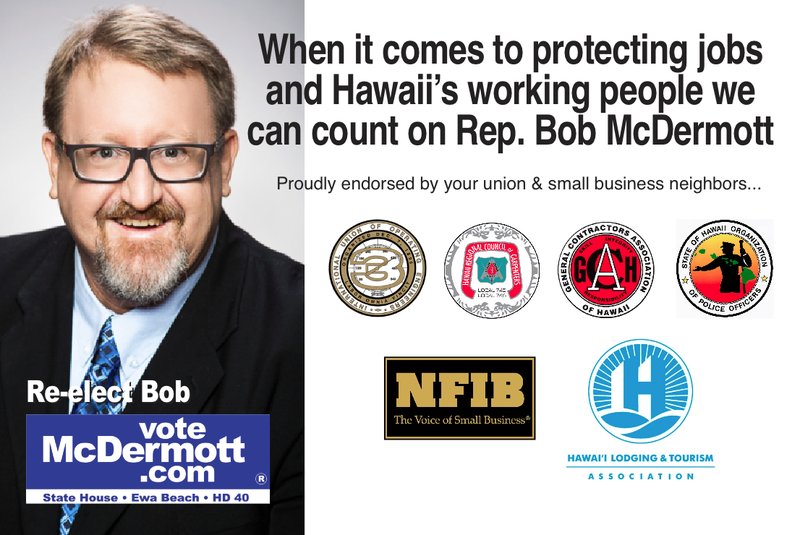 You can help keep your neighbor, Bob McDermott working for all of us at the State Legislature. Register to vote, help your friends and family to register; and then exercise your right to vote. It’s easy to vote by mail, or walk-in when early voting becomes available. Then there’s you last chance on election day…take a full car-load to the polls and let the voice of the people be heard. 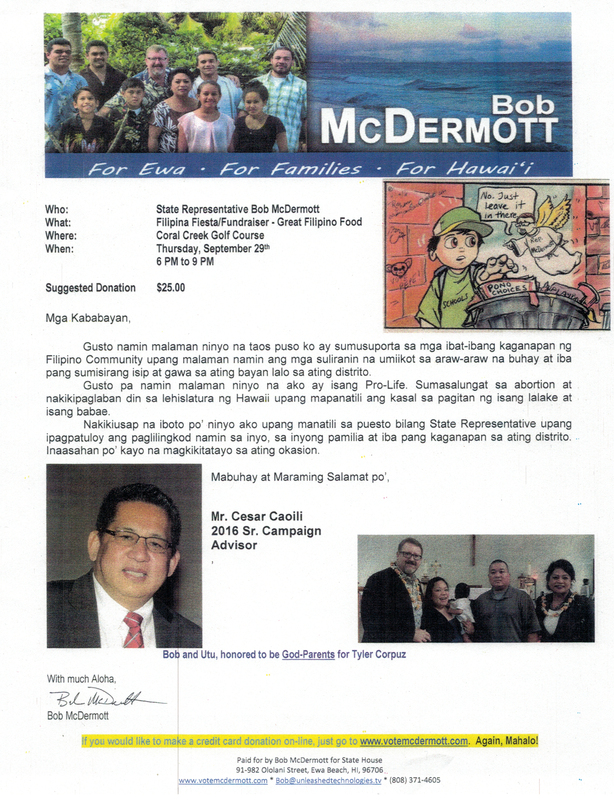 Re-elect Bob McDermott for the State House (HD40 – Ewa Beach, Iroquois Point and Ewa by Gentry).